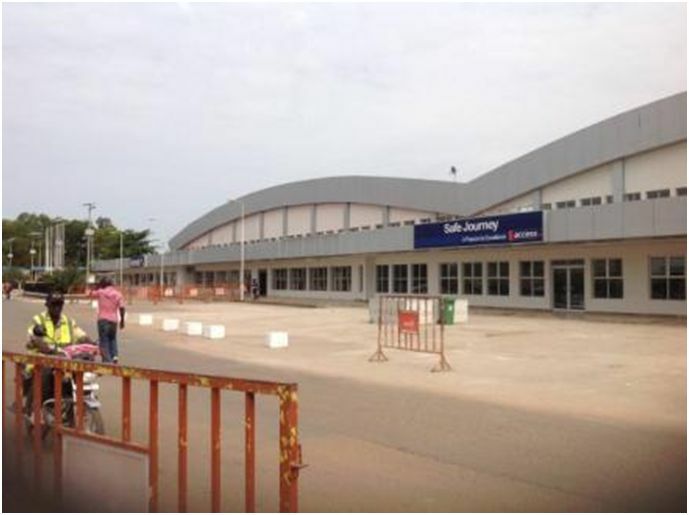 The International Organisation for Migration (IOM) has carried out an emergency simulation exercise at Sierra Leone’s Lungi International Airport. 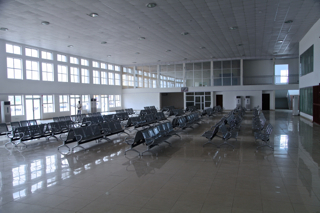 According to the IOM, the aim of the test was to assess and improve the entry and exit health screening process and general health security, throughout the airport. A recent increase in Ebola cases in Sierra Leone’s Port Loko District, notably among the approximately 85,000 inhabitants of Kaffu Bullom Chiefdom near the airport, has led to increased scrutiny of procedures for airport workers. On 2nd January, a case of Ebola was confirmed among airport workers, raising the risk of spread of the disease between workers and travellers. With an estimated 1,500 people working in the airport, the main health threat is that of airport staff moving in and out, from hot-spots to their work place. To face the challenge of airport workers’ movements and the prospect that more flights and airlines will operate at the airport in future, IOM plotted six possible response scenarios to run consecutively to test the operation of the various airport agencies in simulated health emergencies. About 100 people – from medical screeners, port health, cleaners, army, police and Westminster Aviation Security Services (a private airport security provider) participated in the exercise. By displaying simulated symptoms of Ebola, giving support, taking control of the simulated situation, then disinfecting quarantined areas, units worked with an eye towards facilitating collaboration between airport agencies. To bring as much reality as possible to the simulations and to rigorously test the airport’s health security process, five Ebola survivors were recruited as ‘actors’ in the exercise. Their participation also was an attempt to help them to escape the associated stigma of the virus. Identifying gaps in health defence systems, and highlighting and targeting areas for further training were among the objectives of the exercise to improve the airport’s security. “In health emergencies, the greatest challenge is swiftly organizing the medical professionals to assume command and control of the situation, requiring confidence, communication and practice,” said IOM health and humanitarian border management Officer Ben Potter. “The emergency simulation exercise provides the perfect environment to rehearse and refine these skills. Knowledge is great, but in an emergency, if you can’t perform under pressure it is worthless,” he added. Since Kaffu Bullom Chiefdom was been placed under quarantine, IOM has supported Ebola prevention and control work in the area, including surveillance and contact tracing, and the delivery of two dedicated ambulances to assist the airport with any suspected cases. IOM, together with the British Army, US Centers for Disease Control and Prevention (CDC), World Health Organization (WHO), and Lungi International Airport have implemented the Airport Standard Operating Procedures (SOP) for travellers and employees screening and health monitoring, management action flowchart, and staff information posters. 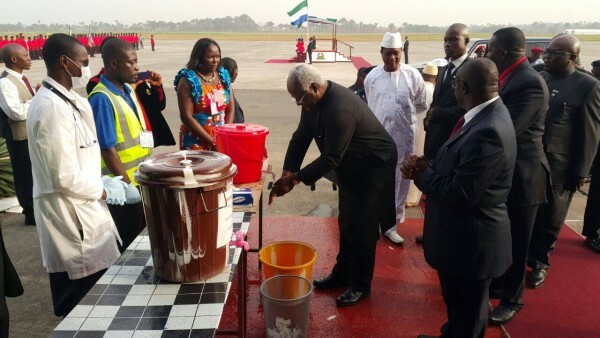 (Photo: President Koroma washing hands at the airport). “Screening must occur around the clock, by trained professionals, to detect and evaluate any suspicion of Ebola in a worker or traveller,” said Sierra Leone’s Minister of Health and Sanitation Dr. Abu Bakar Fofanah. A dynamic map plotting airport employees’ addresses against known quarantined areas has been developed, with British Military Intelligence’s assistance. This information is updated daily and IOM assists the airport in investigating the intelligence and implementing the ‘stay at home for 21 days with full pay’ as part of its Standard Operating Procedure, says the IOM.